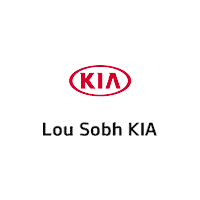 When you’re looking for a new Kia in Alpharetta, you can make sure you are getting the best deal possible at Lou Sobh Kia. Browse our new vehicle specials below to find the Kia you want at a great price. Contact us today to learn more about our inventory or visit our dealership near Dawsonville to take a test drive of one these great vehicles on sale. Thanks to our rotating Kia lease deals and finance offers, you can get behind the wheel of that new Kia Sorento SUV or the popular Kia Optima sedan you’ve been thinking about at a price that works for you. When you’ve found your favorite Kia model, calculate your monthly payments with our auto finance calculator, and visit our finance center to start the process towards your next new car!